Intergenerational learning programs bring together skipped generations (for instance, elders and young children) to promote expansive communication and identity options for participants, as well as the forging of relationships between generations. More specifically, these programs help foster multimodal literacy for both generations, encouraging new ways of seeing oneself and the world. Learning at the Ends of Life illustrates the unique benefits of these trail-blazing programs through more than seven years of research on developing and implementing intergenerational curricula in Canada and the United States. 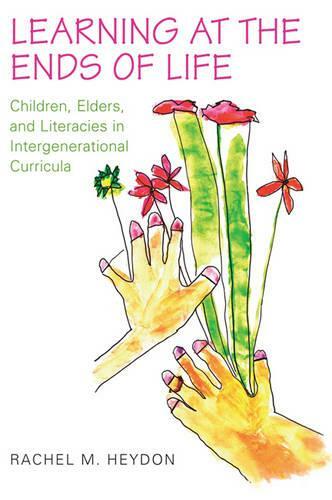 The first formal and sustained work on intergenerational curricula and literacies, Learning at the Ends of Life details the experiences of educators and participants in these programs. Rachel M. Heydon brings to life the particular possibilities of arts-based, multimodal curricula that draw on participants' existing funds of knowledge and interests. Providing practical suggestions for pedagogies and curricula, Heydon helps educators rethink what is taken for granted in monogenerational learning sites and see new possibilities for learners and themselves.